Bill Goodloe is a native of Mobile and in 1993 he graduated from The University of Alabama with a B.S. in Business. After a several years in sales for a local manufacturing company, he entered the insurance industry with Lyon Fry Cadden in 1999. 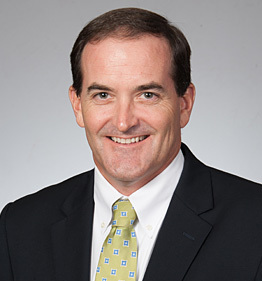 Like many in the firm, his areas of specialization include contractors, real estate and professional liability, focusing predominantly in Mobile and Baldwin counties. Bill’s community involvement includes serving as past president for the Mobile Association of Independent Insurance Agents, the Sunrise Rotary Club of Mobile, and Coastal Conservation Association. Additionally, Bill has been involved with and served on boards for the Mobile Area Chamber of Commerce, the Mobile Touchdown Club, Associated General Contractors and St. Paul’s Episcopal School. Outside of the office, Bill spends the majority of his time in the outdoors or on the water, often with his wife and two sons. Bill and his family attend Spring Hill Baptist Church.